The Chamber cannot guarantee your success or your profitability, but it can guarantee the right business climate for you to succeed. Chamber members provide a wide variety of products and lines of service. Check out some of our newest members below when doing business. The Amarillo Chamber of Commerce was established in 1926 to be the leader for the improvement of the economy of Amarillo. The Mission of the Amarillo Chamber of Commerce is to enhance business and industry growth while preserving a high quality of life. See what others are saying about the Chamber and one of our big events on our new ReviewTube Channel. 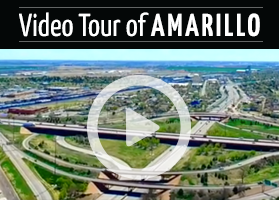 Take glimpse at what living, learning, working and playing in Amarillo looks like in our community videos, and get to know more about some of our members. Are you a business looking for a great employee or an individual looking for a new job? Check out our Job Bank.